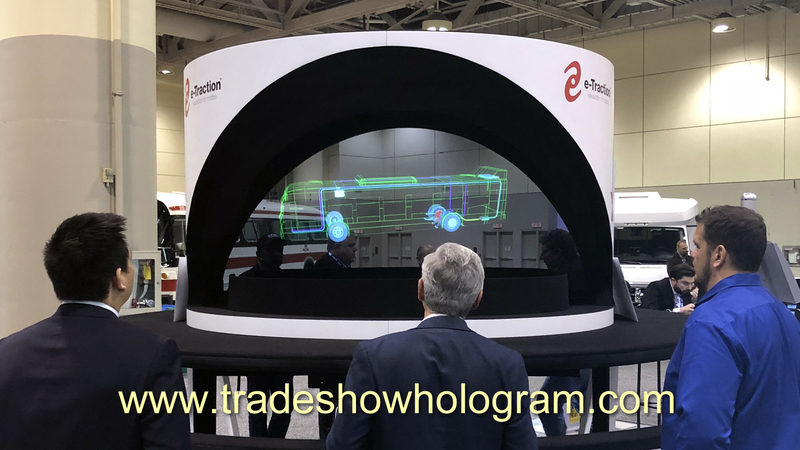 Mississauga Bus Group of Companies recently featured a 3d hologram projector as part of their 2018 booth at the the Toronto Transit show held at the Toronto Convention Centre in Toronto Ontario Canada. The 3d holographic projection system allowed visitors to the booth to interact with a series of 3d holographic presentations that appears to float in mid air. The display exhibited the benefits of the new e-Traction system, the next generation in wheel motor technology. 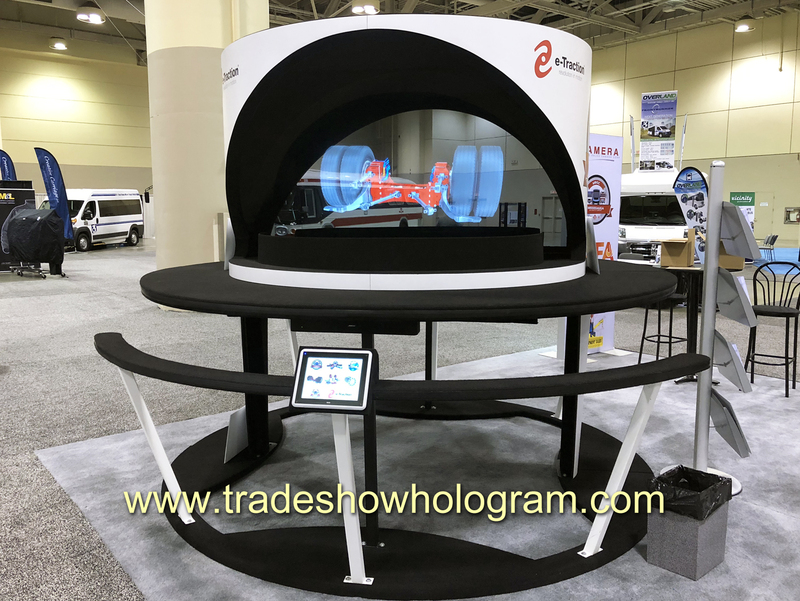 The display created by Trade Show Holograms is a dual sided display which allows visitors viewing and hearing a presentation on one side of the display to watch a presentation while viewers on the opposite side are able to watch and interact with totally different presentations on their side with neither presentation interfering with the other.